With this smartphone app downloaded, you can remotely start your car, and stay connected to learn about vehicle diagnostics, set climate control, and more. From ATTENTION ASSIST® to Crosswind Assist, your Mercedes-Benz GLC is actively working to keep you and your passengers safe with a variety of driver assistance technologies. A floating touchscreen, a touchpad controller, and optional navigation functions with 3D maps and points of interest make up the COMAND® infotainment system. Stay connected on the go with a 4G LTE Wi-Fi hotspot, which offers a secure, high-speed connection for up to eight devices. 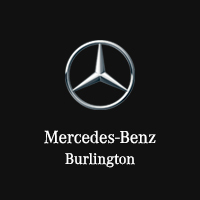 Pick out your favorite technology features and finance the 2018 Mercedes-Benz GLC when you visit Mercedes-Benz Burlington. Don’t forget to check out other Mercedes-Benz models while you’re there!